This week we get a little spooky with the new Archie series Jughead: The Hunger, and travel into space with 1985: Black Hole Repo! The Archie Horror line has had some great series, but the one area they’ve been lacking in is consistency when it comes to release dates. As great as Afterlife with Archie and Chilling Adventures of Sabrina are, the fact that their publishing schedule is pretty lax (to put it mildly) makes for a pretty frustrating experience as a fan. With the arrival of Jughead: The Hunger, a new monthly series spun out of the one-shot released a few months ago, I’m hopeful that the Archie Horror brand, now called Árchie’s Madhouse, can get the scheduling train back on track, especially because this opening issue is pretty spectacular. Spinning out of the events of The Hunger one shot, Jughead Jones has left Riverdale and joined up with the circus. After murdering Reggie Mantle, Jughead is believed dead, but he knows that he can’t rest easy, since his former pals Archie and recently revealed werewolf hunter Betty Cooper are hot on his trail. But when Jughead wakes up outside of his chains and finds his new friend murdered, he suddenly realizes that there may be another creature like him somewhere out in the wilderness…. Writer Frank Tieri continues the narrative set up in the previous one-shot special, but there’s enough set up in this opening issue that it’s not completely necessary to have read that issue before this one. Tieri adds a great amount of character work and dread to this script, and like all great modern Archie comics, mixes in enough retro-stylings with modern day elements to make this comic feel unique. An added bonus, Tieri doesn’t have the same commitments that Afterlife with Archie and Chilling Adventures of Sabrina writer Roberto Aguirre-Sacasa has, so there’s a good chance that The Hunger won’t face nearly as many delays as those other series. 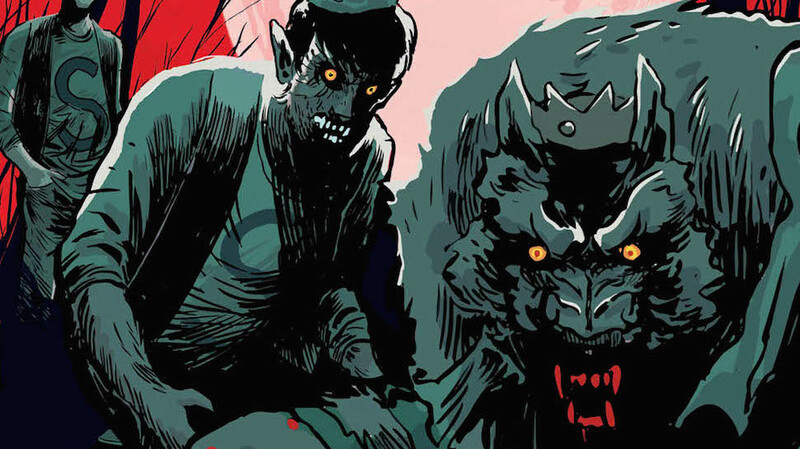 Francesco Francavilla and Robert Hack have made a name for themselves on the Archie Horror line, and while you won’t see their work on the interior pages of this series, the duo of Pat and Tim Kennedy more than make up for it. The Kennedy’s art is a nice mix of the styles of Francavilla and Hack, and fits perfectly with the visual style set in place from those artists’ respective books. While some of their figure work looks a little rushed at times, Pat and Tim Kennedy make up for it with some truly brutal artwork and fantastic werewolf designs. Jughead: The Hunger is a great book for not only fans of the other Archie Horror books, but horror comics in general as well. 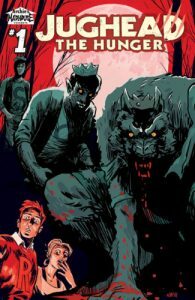 Like the other books in this imprint, Jughead: The Hunger works because it’s a solid werewolf story that just so happens to feature Archie characters, not an Archie story that has a werewolf creature in just because. It’s the perfect comic for the Halloween season. 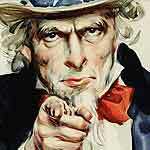 The “Space Race” completely changed the world, but what if it changed things for the worse? 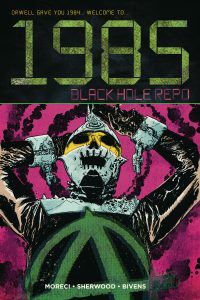 That’s the premise behind 1985: Black Hole Repo, a new series from Seth Sherwood, Michael Moreci, and artist John Bivens. A mix between Mad Max and Star Wars, 1985 presents a world that fully embraced space travel in an alternate 1985, but at the cost of our relationships with the world around us. Max and his crew of scavengers scour the galaxy for anything and everything that can make them a quick buck. Along the way, they have to keep track of the numerous pirates and other scavengers that they’ve screwed over, while also trying to make sure that they don’t kill themselves too. Of course, with this being 1985, there’s also a little bit of a conflict going on between the USA and the USSR, and Max and his crew’s latest find has put them right smack in the middle of the war between the two countries and puts them on the radar of every lowlife in the galaxy. Straight up, 1985 has a pretty damn awesome hook. You may think that because this book takes place in space that everything looks all futuristic and cool, but the reality is that this is still 1985, and the ships Max and others use, while impressive, are barely held together. 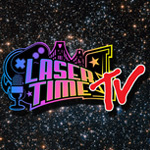 Duct tape, scrap metal, and everything and anything else that can be used to patch up space ships is used, and it adds a wonderful “lived in” feeling to 1985. Michael Moreci and Seth Sherwood’s world building is really great here, offering just enough of the back story without resorting to an info dump, and the two wisely give us insight into Max and his crewmembers as a way of expressing the world around them. Speaking of the crew, every member of this team is great and fully fleshed out. Their dialogue is realistic and makes them sound like they’ve all known each other for quite some time. Really the only negative is a few references to our current commander in chief, which, while funny, take you a little out of the story. John Bivens’ artwork has a looser and more unpolished look than I usually like, but it’s used to great effect here. The world of 1985 is a gross and dirty one, and Bivens’ artwork is able to nail that aesthetic perfectly. While his figure work varies a lot from page to page, it’s hard to imagine another type of art style for this series. It’s ugly, but it also works really well. 1985: Black Hole Repo has an awesome hook that I’m surprised no one has done before. Combining the “working stiff” trope to science fiction works wonders for this debut issue, and I’m very curious to see where the rest of this series goes. If you’re a fan of Blade Runner, Alien, or the darker parts of Guardians of the Galaxy¸ then you should absolutely check this out.